Home Local Famous Restaurant burns in Mt Thompson Exuma…. Famous Restaurant burns in Mt Thompson Exuma…. 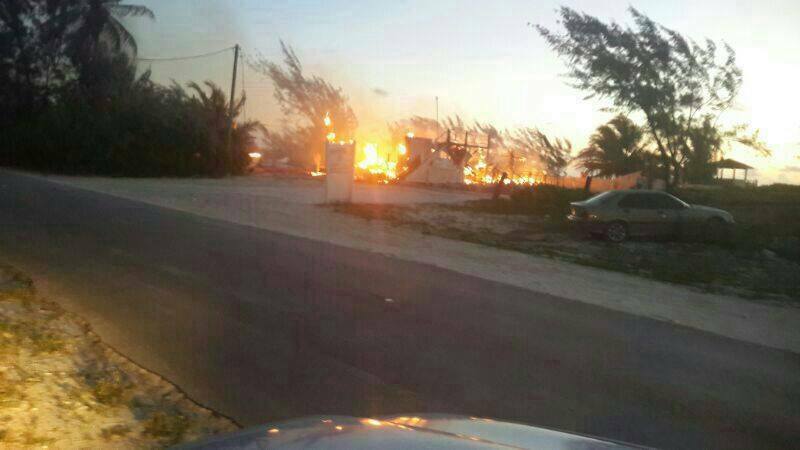 Exuma, Bahamas — Breaking News happening this morning on the island of Exuma confirm that a famous and popular nightclub and restaurant in the community of Mt Thompson has went up in flames. The Horseman on the bay caught fire. No one can tell us how the blaze started; however, we know no one was injured. BP IS LIVE….